How old were you when you started sailing? I was 10 years old when I started sailing. It wasn‘t very early but not too late. How did you first get involved with sailing? There were seven of us girls, me with my two sisters and four neighbors. Two of them were distant relatives with an Optimist coach. At that time, it was mostly boys sailing in Lithuania so this coach wanted to increase the number of girls. It was the beginning of summer and these two girls invited all the neighborhood girls to try sailing on our hometown lake in Kaunas. When I tried it, I liked sailing so much. I also got good results very early so I stayed in sailing. We sailed the whole summer season and after winter we always were waiting for warmer weather to sail again. It was a lot of fun. What was your first boat? My first boat was an Optimist. When I started sailing we had wooden boats and I shared it with one of my sisters. She named our optimist boat “žvaigždutė.” In Lithuanian, it means star but very small. 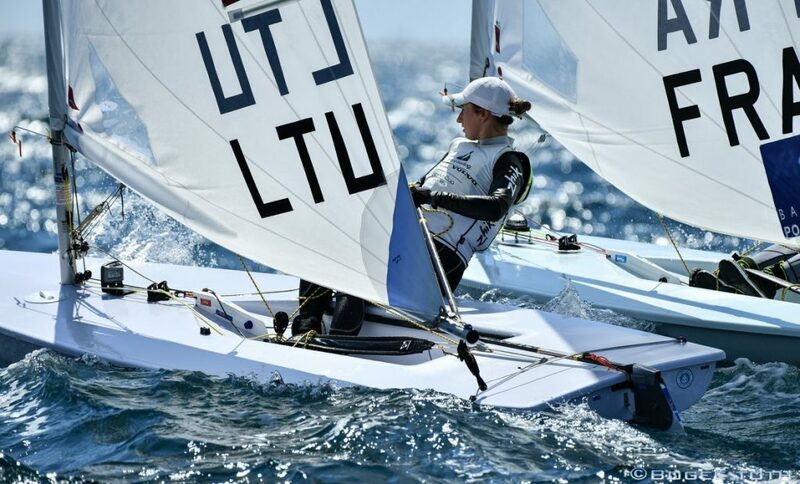 Why did you first decide to sail the Laser Radial and what has kept you sailing it since? We don’t have many choices. Lithuania is a small country and the Laser is one of the cheapest to sail. And we sail on lakes. After the Optimist, I immediately started sailing in the Laser Radial class. But after one year, our sailing school bought four Laser 4.7 masts and sails. I was a really small girl so I started sailing in a Laser 4.7 until I was 18 years old. In fact, I was sailing in both these classes at the same time. It depended on weather conditions, but my main regattas were in the Laser 4.7. 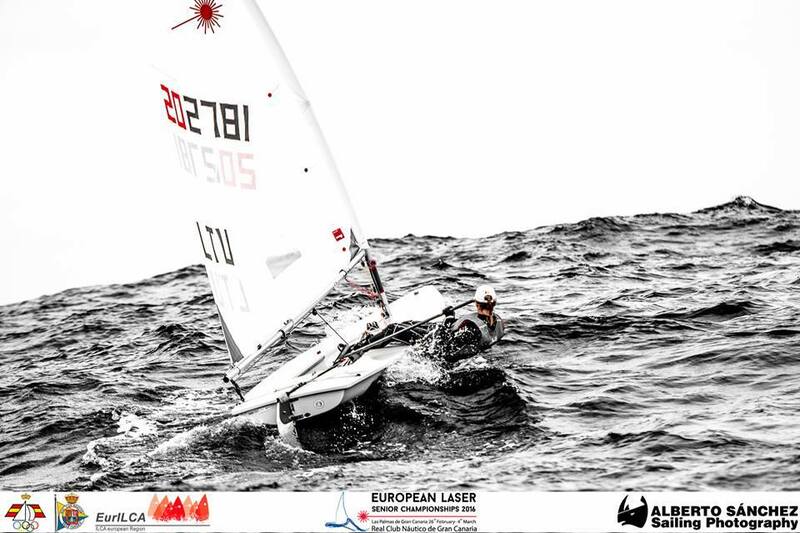 What was the first international Laser regatta in which you competed? My first international Laser regatta was the Laser 4.7 Europeans in Helsinki 2009. I finished in 2nd place. When you were getting involved with the Laser Radial, were there any specific sailors you looked up to? Since 2007 I started to sail in the Laser class. My idol is Anna Tunnicliffe who won an Olympic gold medal in Beijing 2008. I am fascinated by her dedication and willingness to be the best. She was working so hard to qualify for the Olympic Games and get a medal. Due to a big age difference, I was still lucky to have one training with her. 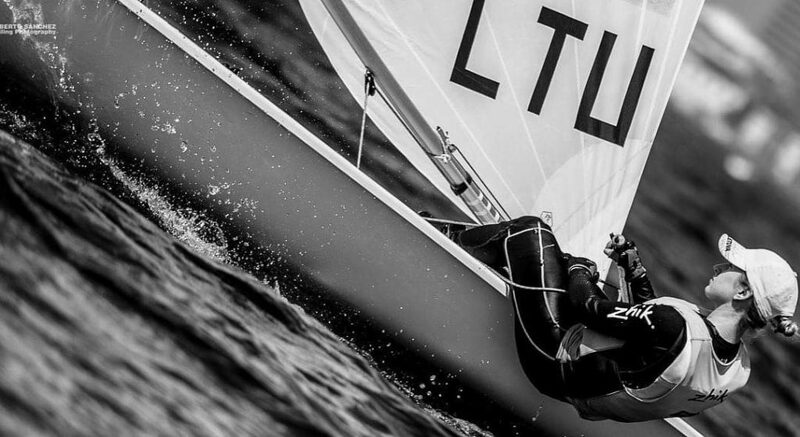 Have you achieved any of your early goals from when you started sailing the Laser Radial? My goal is to bring home an Olympic gold medal. Sailing has been a very long journey in my life. When I started sailing international regattas as youth sailor I was always in the top 10. This increased my desire to be the best in Laser Radial senior class. I had ups and downs. The hardest moment was when I lost the gold medal at the ISAF Youth World Championships in Istanbul 2010. I capsized in the last race and it took away the World Champion title from me. I remember that I was crying all night and couldn’t fall asleep because I was thinking about why I lost. I later appreciated that I won 5th place. One year later I finished 2nd in Laser Radial U21 European Championships in Helsinki (15th in the senior class). I was thinking that if I can compete between youth sailors and achieve good results, with hard work I will be able to be at the top of the senior level. In fact, I finished 22nd in the 2014 ISAF Sailing World Championships and secured qualification quota for Lithuania in 2016 Summer Olympics. The same year I finished 10th in Laser Radial European Championship in Split. It was my first time that I finished 10th at the senior level. The 2017 World Championship in Medemblik was a solid regatta for you, finishing in 8th – what helped you maintain consistency? It was a really great regatta for me. Before this World Championship we were training in Lithuania in Nida where we have very similar conditions as Medemblik. We had good training but most importantly my head was fresh. I was also participating in the EUROSAF regatta in Medemblik before the World Championship. This increased my self-confidence. During the World Championship I had a physiotherapist, so every day I could start the race really fresh. My muscles didn’t feel fatigue even after windy days. My key to finishing in 8th place was that even after bad race, I was sailing the next as a new one and didn’t look how I was before. I was fighting until the end – the finish of the last race. 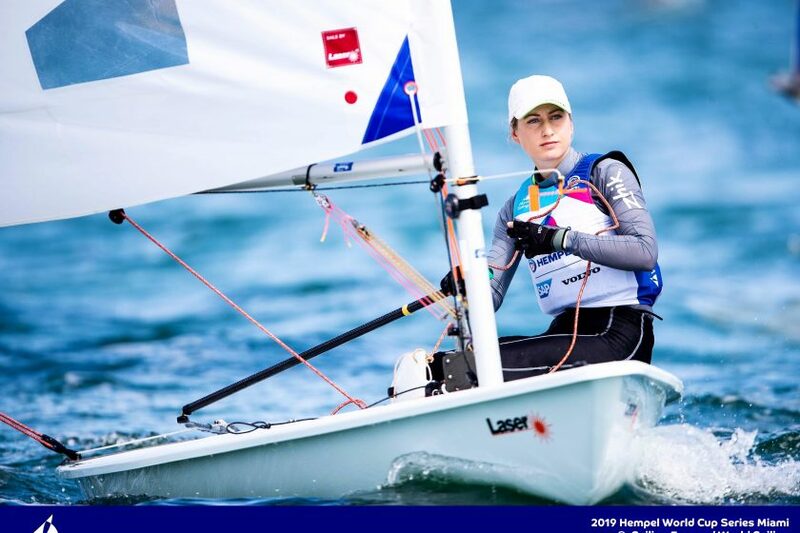 The Hempel Sailing World Championship was a little more difficult for you and the ultimate event of 2018. What happened in Aarhus and how did the high-pressure event affect your performance to finish in 46th? It’s really hard to speak about this World Championship because our goal was to qualify for the 2020 Olympic Games in Tokyo and I had the worst regatta of my entire career. We would’ve been satisfied with the last place of countries that secured the qualification quota. Later, my coach and I were analyzing why this regatta failed. We didn’t evaluate the specific weather conditions in Aarhus. We should’ve at least had one training camp before to get familiar with these specific weather conditions. Although I was physically and psychologically prepared for this event, maybe deep inside I was afraid that what happened in Santander 2014 would happen again, when I secured the qualification quota for Lithuania in 2016 Summer Olympics. After failed the World Championship in Aarhus, I was destroyed internally and psychologically. I had a very difficult personal life at the same time too, so I experienced everything hard. We also had a really long and physically difficult sailing season. It all happened at the same time so it was hard for me to stay adequate and calm in my head. That time I just needed someone to listen to me. I only remember that three weeks later after the World Championships we had World Cup in Enoshima, Japan. I was sailing the best that I can even if I felt really hard inside. I managed to finish 15th. But later I needed at least three months to become the same again. I needed time to be calm in my mind again. After this regatta I realized that one event cannot determine success in the future. So I continue to patiently pursue my goals. At such a high level of sailing in the Radial fleet, how do you work at reducing mistakes or minimizing their impact? I started working with a psychologist since December 2018. The Laser Radial fleet is really strong now and all top sailors are working hard. Our boats are very similar so mental preparation is very important. If weather conditions are tricky, a few bad races can change a lot. It’s very important to stay calm and focus until the end of the regatta and fight to the finish of the last race. Do you have any particular “rituals” or routines that you do before going out on the water to compete? I just rig my boat and go on the water. I like to prepare everything properly. Of course, I take time before the race to check wind in the racing area. And we have a tradition in Lithuania: if someone says “good wind,” you answer “wind wind wind.” But in Lithuanian it sounds better. How long have you trained with Sailing Academy Gran Canaria and how did you get involved? How has training with them affected your sailing? In the winter, our lakes in Lithuania are frozen so that is why at this time we train in warm places. Since the 2008 – 2009 winter season we were always training in Tenerife, but after we had European Championships in Gran Canaria 2016, a lot of sailors started to come here. Currently, we are just joining the Sailing Academy team in some training camps, but we actually train separately because I have my coach from Lithuania. We are following our preparation plan. But it’s a good opportunity to join the Sailing Academy team because they have strong sailors that push me. And they have a really good fitness coach Matyas Toth. One week before Olympic week in Gran Canaria we joined his morning trainings. Do you have fellow Laser or Laser Radial sailing teammates from Lithuania that you train with regularly? If not, who do you usually train with? 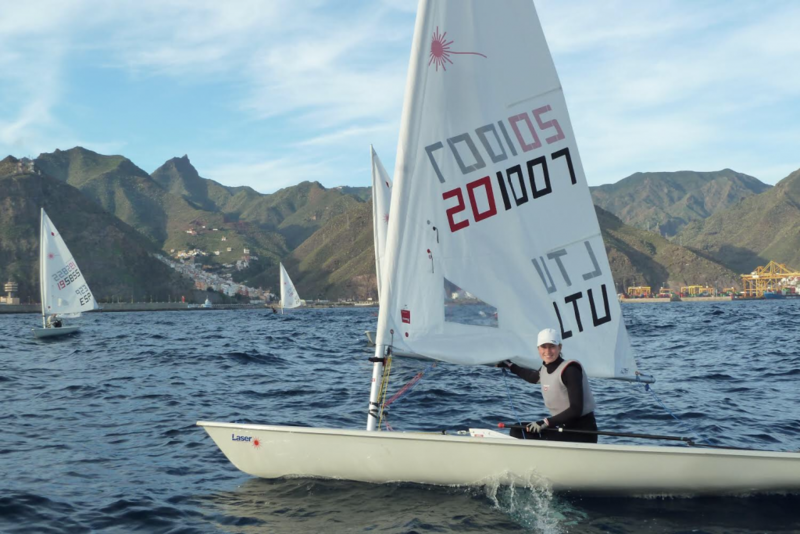 In the winter time, we sometimes train with Sailing Academy in Gran Canaria. But I am training with Yumiko Tombe from Japan and sometimes Tatiana Drozdovskaja from Belarus. We also join groups to train with before regatta. Currently I don‘t have fellow Laser Radial teammates from Lithuania and our Laser guys train separately. Different coaches train Laser Radial and Laser teams. My fellow teammate from Lithuania was a younger sailor Milda, but currently she is studying in Finland. You have kicked off 2019 strong, finishing top 10 in Miami. What changed for you at that regatta that boosted your performance? We had very difficult weather conditions at this World Cup regatta. Wind was really unpredictable and we didn‘t know if the race we started would succeed. Weather conditions were constantly changing so we had a lot of restarted starts. Also many sailors got BFD. We all were making many mistakes. 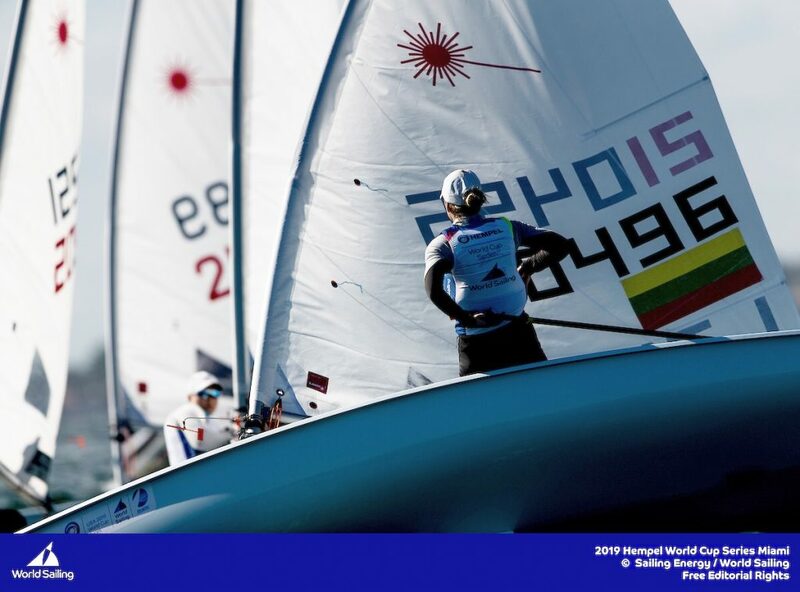 These ups and downs made this regatta interesting because about 40 Laser Radial sailors could participate in medal race. Throughout the whole regatta I was trying to stay calm and made my best in each race despite the previous one. I risked less at the start because I knew that most important thing was to try to understand how the wind can change. Taking into account such unpredictable wind, my decisions were more accurate so I made less mistakes than other girls. In some cases, the success factor was also important. All these things allowed me to participate in medal race which was marked with light wind and lateral current. What are your next events in 2019? My main event is the World Championship in Sakaiminato, Japan. I want to secure qualification for Lithuania at the 2020 Summer Olympics. Before that, I will have the third World Cup regatta in Genoa, Italy, European Championship in Porto, Portugal, and the World Cup final in Marseille, France. I will also participate in the World Cup of 2019 – 2020 season in Enoshima and the test event in Enoshima, Japan. As you continue pursuing the Olympics in Tokyo, what are your strengths that you plan to enhance and what areas do you need to improve in order to qualify? I need to stay calm, and work hard and smart. I have endurance but it would be good to gain some weight. It would help me sail better in strong winds. I also need to improve my technique of the start. Did you attend a University? What did you study? I graduated with a bachelors degree in physiotherapy. I started studying for a masters degree in Sports but due to a tense schedule in sailing I took academic holidays. Do you plan to pursue those studies later at some point in life or have goals outside of sailing? I will finish my masters this winter because I just have to write the last masters thesis. I am also very interested in massages but at the moment I am focused on sailing. What do you enjoy doing when you need a break from sailing? I like traveling and learning about new cultures, meeting new people, staying healthy with sports and workouts, participating in a wide range of sports – particularly tennis, basketball, and bike riding. I also enjoy reading and going to music concerts. What would you like people to know about Viktorija Andrulytė? I am a fighter who will always work to the end. No matter what will happen around me I will always try to do my best. We are all different and have our own way so it‘s important to to be patient while reaching goals. I am so grateful to my family and friends who support me. They understand me and help me improve. It‘s unique.